Salt Lake City, UT (March 24, 2015)…. Today, the U.S. District Court District of Utah will hear arguments on a Motion to Dismiss a Utah rancher lawsuit against the Bureau of Land Management (BLM) seeking to compel the removal of hundreds of wild horses from public and private lands in the state. The Motion to Dismiss was filed by the American Wild Horse Preservation Campaign (AWHPC), The Cloud Foundation, Return to Freedom, Utah photographer John Steele and wild horse advocate and adopter Lisa Friday, who were granted the right to intervene in the case last October. WHAT: U.S. District Court hearing on “Motion for Judgment on the Pleadings” in Western Rangeland Conservation Association v. DOI. WHEN: Wednesday March 25, 2015, 2 p.m.
WHERE: U.S. District Court, 351 South West Temple, Room 8.300, Salt Lake City. Arguing the case for the intervenors will be Caitlin Zittkowski, attorney from Meyer, Glitzenstein and Crystal, a Washington-DC based public interest law firm. Earlier this month, the court granted AWHPC’s motion to dismiss a similar rancher lawsuit against the BLM in Nevada. The advocates are also intervenors in the state of Wyoming’s rancher-driven lawsuit against the BLM. The Utah case was filed by the Western Rangelands Conservation Association on behalf of ranchers who graze livestock on public lands in southwestern Utah. It seeks removal of hundreds of wild horses from the Frisco, Four Mile, Bible Springs, Sulphur, Muddy Creek, and North Hills Herd Management Areas (HMAs) and the Blawn Wash Herd Are (HA). In response, the government has informed the court that wild horses are not damaging rangelands in this area and that it has made no determination that “excess” wild horses exist in the HMAs and HA in question. Ranchers’ claims that wild horses are overpopulating the state are not supported by facts. In reality, wild horses reside on just 2.1 million acres of BLM land in the state while livestock graze on 22 million acres. There are fewer than 4,000 wild horses on BLM land in Utah, compared to hundreds of thousands of cattle and sheep. 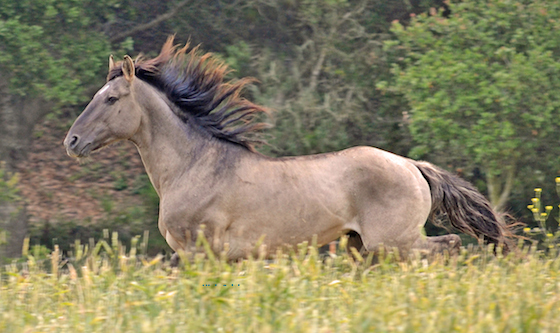 Return to Freedom is a national non-profit dedicated to wild horse preservation through sanctuary, education and conservation, and also operates the American Wild Horse Sanctuary in Lompoc, CA. It is also AWHPC’s founding organization. John Steele is a noted wildlife and nature photographer who frequently photographs Utah’s wild horse herds. Lisa Friday is a Virginia resident, wild horse adopter and board member for The Cloud Foundation.